deepharbleproducts pvt ltd is an ISO 9001:2008 certified company & is headquartered in West Bengal, India. Currently we are having tie ups with more than 10 International companies & we are serving in more than 100 cities across 25 states in India in a full range of products. Our marketing team comprises of about 100 plus independent sales agents. Our infrastructure, skills and resources are at par with the best in the world. deepharbleproducts pvt ltd is the leading provider of Unique Natural Healthcare Drops, Exotic Juices, Weight Management Products, 100% Organic Products, Organic Agricultural Products, Unique Wellness Products, 100% Ayurvedic Products, Anti Radiation Range of products, Biomagnetic products. Piles Care is 100% natural product first time brought in India in technical collaboration with Hawaiian Herbals, Hawaii, USA. This product is HALAL & Kosher Certified, produced under GMP guidelines. Thyroid Care Capsules is manufactured and marketed in technical collaboration with Hawaiian Herbals, Hawaii USA. It is HALAL and Kosher certified product and has been produced under international GMP guidelines. It may support overall good thyroid functioning, help the body to adapt to stressful situations. It also helps with boosting the immune system. It is an excellent combination of different herbs which can be extremely helpful in managing the symptoms of both hypothyroidism and hyperthyroidism conditions. It is a HALAL & Kosher certified Dietary Product, marketed in India in collaboration with Hawaiian Herbals, USA. It is 100% natural product produced under international GMP guidelines. It has a unique combination of essentials such as co enzyme Q 10, L- Arginine, Vitamin E and Methylcobalamin which are known to be good for maintaining healthy heart. It may help in strengthening of heart cells by converting fats into energy, supports energy production in cells. We have formulated Wheat Grass Capsules in technical collaboration with Hawaiian Herbals located in Hawaii, USA. Wheat Grass capsules is a 100% pure certified organic wholesome green food made from the powdered leaves of young Wheat Grass plants. Green foods such as Wheat Grass are among the richest natural food sources of minerals, enzymes, B group vitamins, antioxidants and chlorophyll. Wheat Grass Capsules may help to improve the digestive system, prevent cancer, diabetes and heart disease, cure constipation, detoxify heavy metals from the bloodstream, cleanse the liver, prevent hair loss, help make menopause more manageable, promote general wellbeing & many more. We have introduced Buffalo Colostrum in collaboration with Hawaiian Herbals, Hawaii, USA. This product is HALAL and kosher Certified product & has been produced under GMP guidelines. Buffalo Colostrum is special comprised with fresh & new Bovine milk, which is low in fat, and high in carbohydrates, protein, it is a unique food product rich in a variety of biologically active proteins including immunoglobins. Buffalo Colostrum Capsules is manufactured from Colostrum collected from healthy buffaloes within 48 hours of calving. It is manufactured form first three milking using very low heat process to retain its unique nutritional properties. Immune factors found in this product aids in building and strengthening the immune system, which guards the body against the diseases and accelerates the recovery process from illness. Bee Propolis is generally known to be effective at treating infections and soothing pain, and has antimicrobial and antibacterial properties. Propolis is used on serious cuts, bruises, sore throats, stomach complaints, and athletes foot besides possess powerful anti oxidant properties. When used regularly, propolis can help with chronic health problems and persistent allergies. We have brought first time in India manufactured by Hawaiian Herbals, Hawaii, USA. This is 100% natural product & has been produced under international GMP guidelines. Liver Care Capsules is manufactured in technical collaboration with Hawaiian Herbals, Hawaii USA. It is HALAL and Kosher certified product and has been produced under international GMP guidelines. This product contains different vital herbs in optimum concentration required to provide complete benefits to restore liver function parameters, which may help to check degeneration and promote regeneration of liver cells. Liver care drops may have antiviral, antioxidant, anti-inflammatory and immune- modulator action. We have introduced first time in India an excellent product Antidiabetic Capsules. It is a HALAL & Kosher certified Dietary Product, 100% natural product produced under international GMP guidelines. Antidiabetic capsules is a perfect and unique blend of herbs like Syzygium cuminii, Gymnema sylvestre, Withania coagulans, Terminalia chebula, Terminalia bellirica, Emblica officinalis, Tribulus terrestris, Momordica charantia and Boerhaavia diffusa that support normal blood sugar levels, when combined with a healthy diet and lifestyle. This may maintain healthy glucose levels, better absorption in the intestine. Leucorrhoea Care is ultimate product for these stubborn gynecological problems. Our product is processed with purest quality ingredients procured from reliable suppliers of the market and then manufactured. These products are manufactured and packed under extreme hygienic conditions and under the strict vigilance of quality department. Kai Natural Care has come up with wonderful quality product for women. We have introduced in India an excellent product Spirulina Capsules. It is a HALAL & Kosher certified Dietary Product, marketed in India by Kai Natural Care in collaboration with Hawaiian Herbals, USA. It is 100% natural product produced under international GMP guidelines. Being a powerhouse of super food Spirulina, this product may possess strong antioxidant properties, boosts energy and cellular health, promotes metabolic rate and immune system, detoxification and supports the management of inflammation and allergies. It may support optimal health and wellness. Aloe Vera Capsules is specially produced from one of the finest quality of Aloe Vera found in Hawaii, USA. Aloe Vera is unique and most natural solution to enhance proper functioning in the body. This product is scientifically proved and hence contains no side effects. This product is produced under GMP guidelines, have got internationally acclaimed HALAL & Kosher certification. NuMoringo Capsules has been introduced in technical collaboration with Hawaiian Herbals, Hawaii, USA. NuMoringo Capsules is a HALAL & KOSHER certified product which has been produced under International GMP guidelines. It is a Dietary Product that is helpful in maintaining healthy blood pressure levels, support healthy joints, promote long lasting endurance and energy and also to support healthy digestion. It contains Nutrients, Amino Acid, Antioxidants, Essential Vitamins, Trace Minerals, Fibers and Omega fatty acids in one capsule essential for body health. We have introduced new product that is Kai Uric Acid which is known to control the Uric Acid formation in the body which is nowadays prevailing problem among Indian. This product is taken from healthcare range supreme supplier Hawaiian Herbals, based in Hawaii, USA. This product is HALAL & Kosher certified product and has been produced under International GMP guidelines. It is a HALAL & Kosher certified Dietary Product, marketed in India by Kai Natural Care in collaboration with Hawaiian Herbals, USA. It is 100% natural product produced under international GMP guidelines. Kurkumin C3 Power Capsules is backed with unique anti-inflammatory, antiviral, antioxidant, antibacterial, antifungal, antiparasitic, antimutagen, anticancer, analgesic and detoxifying roles in biological system. It contains 100% natural herbal extracts that relieves joint pain and swelling and may improve mobility and muscular discomfort for healthy joints. It is helpful in different conditions which can lead to painful joints, including osteoarthritis, rheumatoid arthritis, bursitis, gout, strains, sprains, and other injuries. We have recently launched this product which has been manufactured by Hawaii, USA based our healthcare range partner Hawaiian Herbals. The ingredients incorporated in this product are widely known to increase certain brain chemicals that are involved in thinking, learning, and memory. Brain Booster Capsules is designed to replenish the brain's naturally depleted nutrients and can help maintain healthy brain function. Brain Booster Capsules has a high concentration of specific brain-boosting ingredients & has been specifically formulated with ingredients to improve your memory, mood, concentration and cognitive processes. We have introduced first time in India an excellent product Glycacare Capsules. It is a HALAL & Kosher certified Dietary Product, 100% natural product produced under international GMP guidelines. It contains effective ingredients that support normal blood sugar levels, when combined with a healthy diet and lifestyle. This may maintain healthy glucose levels, better absorption in the intestine. Asthma Care brought first time in India in technical collaboration with Hawaiian Herbals, Hawaii, USA is a 100% natural product Asthma Care has different herbs & other natural ingredients that may give relief to reactions of asthma, wheezing, bronchitis, shortness of breath, coughing & tightness in chest. It is a 100% natural treatment & completely side-effect free. Slim Fit Capsules is a dietary product manufactured and marketed in technical collaboration with Hawaiian Herbals, Hawaii USA. It is HALAL and Kosher certified product and has been produced under GMP guidelines. WE have introduced first time in India an excellent product; D-ToxiPlus from Hawaii. It is 100% natural product and without any side effects. It may support the body’s natural mechanism to eliminate toxins, enhance healthy digestion, provide normal liver functions, weight management and maintain energy level. This is a specially formulated product to encourage overall detoxification process of the body, prevent from numerous health problems. Flax Seed Capsule is a dietary product manufactured in technical collaboration with Hawaiian Herbals, Hawaii USA. It is HALAL and Kosher certified product and has been produced under international GMP guidelines. This product is a good source of omega 3 fatty acids (EPA and DHA) required for the maintenance of overall health. This product provides the healthy circulatory, digestive and cardiovascular system. Moreover, it plays a vital role to optimize body development and brain functioning. Bone Health Tablets is a dietary product introduced in technical collaboration with Hawaiian Herbals, Hawaii USA. It is HALAL and Kosher certified product and has been produced under international GMP guidelines. It contains calcium (as calcium citrate malate) along with vitamin D3. It is known to build healthy bone and muscular structure. It is helpful for height development in growing children. We have introduced first time in India an excellent product; KASLY DONG CHONG XIA CAO in technical collaboration with Hawaiian Herbals, Hawaii, USA. Kasly Dong Chong Xia Cao enhances Internal Energy & Revives Vitality. It is made of cultured Cordyceps fungus which ensures purity and the environmental protection of the natural habitat. It can help to regulate our immunity system. It does not contain any hormones or any other hormone substances. 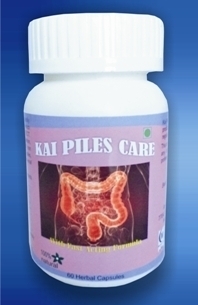 It is also essential for internal secretion regulation and improvement of kidney function.